This term its all about 'Teeny Tiny Things' in Nursery. Just as we were settling back into Nursery after the Christmas break a little door appeared in the alcove with a note and teeny footprint. Off the children went on a walk around the school and spotted lots of other doors and footprints. The children and staff are a little baffled at this point as to who the doors belong too!!!!! Maybe they lead to Nursery Rhyme land?!?!?!? Sing-a-long Nursery Rhymes with Justin from CBeebies. Click the link to hear the songs. 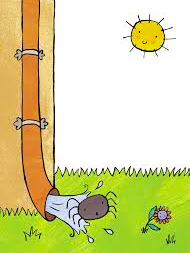 "The Old Lady who Lived in a Shoe and Incy Wincy Spider''. We've had a fantastic week singing our favourite nursery rhymes. The children really enjoyed an alternative version of Hickory Dickory Dock. This week the children have helped make a start on our nursery rhyme wall, make their own clocks, order numbers, sequence the rhyme, print clocks from 3D shapes and represent numbers using mice. 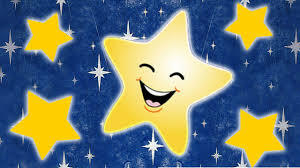 Wow what a busy week....... we've made star biscuits, the children were all so excited to join in. They tasted as good as they looked. Mrs Treeby and Mrs Edwards had at least 2 each! We've also made hanging twinkly stars, even Mrs Jones popped in to see them. We also hunted for stars in shredded paper, and coloured sparkly water, made play-dough stars, printed with different sized stars and used them to count. 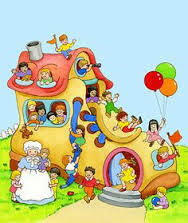 The children are loving our Nursery Rhyme topic...... this week we covered two nursery rhymes. We dressed up and acted out the nursery rhyme, played with spiders and pipes in the water tray, made hand print spiders and play dough spiders and played lots of spider related games. It's been an egg-citing time in Nursery this week the children have had a smashing time. 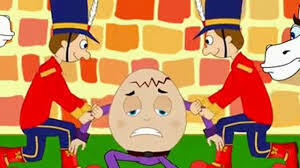 Its been Humpty Dumpty week! We've made a Humpty from egg shells for our class display. acted out Humpty Dumpty with lots of props, matched and made patterns from eggs, made egg pictures out of splatting painting. and attempted some emergent writing.